When it comes to events ran by Southampton Blogger, the ones that happen on a Sunday tend to be my favourite as it’s likely to involve food and good company. I’m a foodie at heart and for me, the more colourful and different spices there are the better. So when the opportunity arose for me to have brunch at Lakaz Maman in Bedford Place, Southampton. It was too good of an opportunity to pass up. 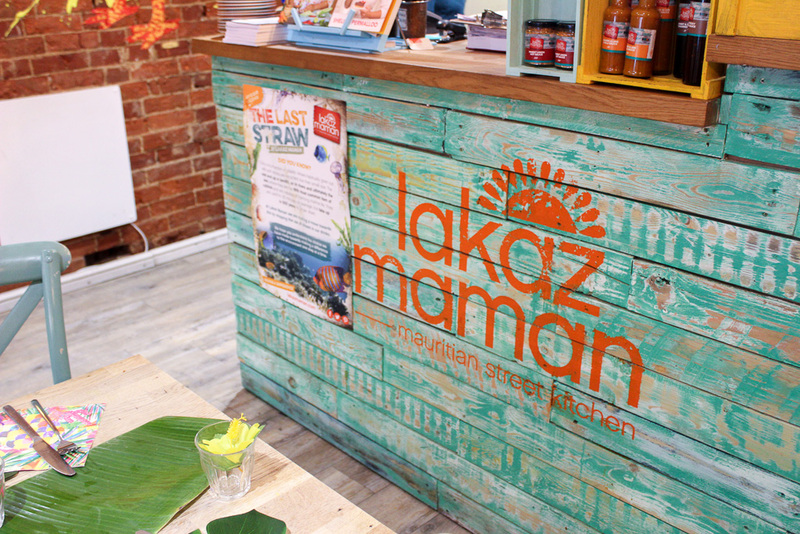 Lakaz Maman is owned by former Master Chief winner and Southampton local Shelina Permalloo, who wanted to bring different styles of Mauritian street food in one place. Lakaz Maman means “Mums House” in Mauritian Creole and it was the perfect name for Shelia to use and she wants her restaurant to be a place where friends and family can come together on one place and be comfortable as if they were at home. As I mention above, Shelina took part in and won Master chief 2011 with her creative and exotic take on food, meaning that she went from an amateur cook, to winning and working in some of the best restaurants in London, to finally back home to Southampton turning a run down old Chicken shop to the warm, colourful and vibrant Lakaz Maman with her husband. Lakaz Maman has been one of those places where Alice and I wanted to visit as the menu looked incredible but we never got around to going due to life. So the opportunity to have brunch here was one I was looking forward too. We arrived outside at just before 10 am and had a meet and greet with the other bloggers who were already excited and waiting to get in. When the doors opened we were met by Shelina and her staff to a really warm and friendly welcome and asked how we were doing for the day. 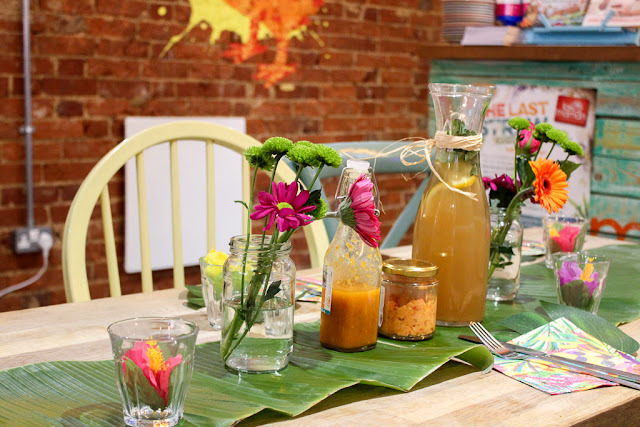 We took our seats and Shelina spoke to us about the her experience going from an amateur cook who won master chief to professional cook owning her restaurant. Her Mauritian roots being the reason she wanted to come back home to open a restaurant and provide the city with something a little different and then explained about her cookbooks that she's written, with us then it was on to the food and it honestly tasted as good as it looked. 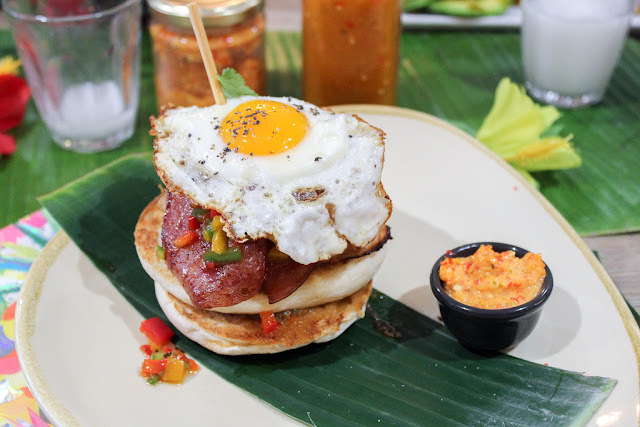 I went for the Breakfast Torpedo, which was Turkey Bacon, Chicken Sausages on a Breakfast Muffin and a fried egg on top. It was the perfect way to start the Sunday Brunch and the Mauritian Salsa gave it that little extra kick in case you needed to be woken up further. I also tried the Cinnamon toast which was amazing and a Rose Milk drink. There was nothing that wasn't enjoyable during our time there. I would highly recommended Lakaz Maman to anyone who is thinking about going. Even the goodie bag that was provided had spices for a Maurtian Curry and it was by far the best one that I've ever made. Shelina and the crew have worked tirelessly to get the restaurant to the standard it is and I can only hope they are able to continue this further, should they choose to expand.